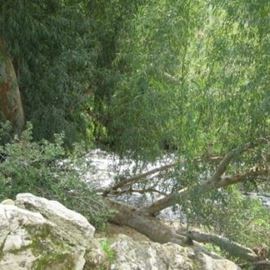 The monastery is located 5 kilometers west of the city of Beit Shemesh, near the tomb of Shimshon and his father Manoah. The site was built by the Latin Patriarch of Jerusalem in 1927 as a pilgrimage site and prayer site for pilgrims. You can see the arches and walls decorated with the words of the angel Gabriel written in 280 different languages. You will also find an oil painting of the Virgin Mary who sends her hands in defense of the Holy Land. This painting is the inspiration for the huge bronze statue found above the entrance to the monastery. 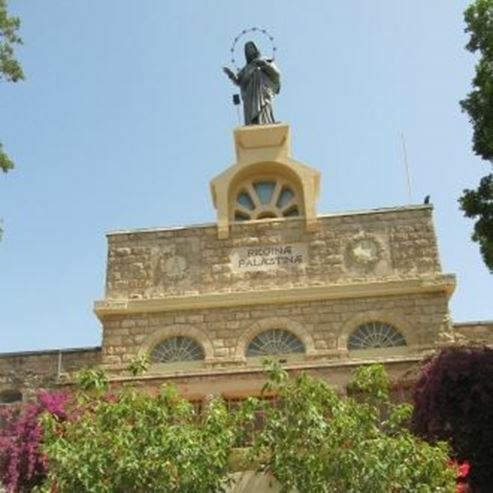 In 2009, the Patriarch in Jerusalem asked the nuns in Beit Jimal to send a small group of nuns to Deir Rafat in order to continue hosting the pilgrims there. Today there are about 15 nuns from various nationalities living in the monastery. The nuns host visitors to the monastery on Tuesday-Saturday from 10:30 to 17:00. Pilgrims wishing to hold a mass in the church, or groups wishing to visit the place and meet with the nuns, are kindly requested to call in advance at 02-9917981. The nuns' artworks are displayed in the shop at the entrance to the monastery. You will find ceramics and hand-painted tables, sacred art sculptures, icons, aromatic and medical oils, and sweets all handmade by the locals. Using WAZE, write Deir Rafat. 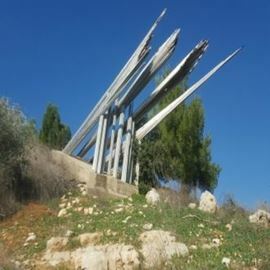 For those arriving from the center - on Highway 1 Tel Aviv - Jerusalem, at the Sha'ar Hagai interchange turn right onto route 38 (Sha'ar Hagai - Beit Guvrin) in the direction of Beit Shemesh, at the traffic light after the train tracks, continue on for 150 meters and turn right to Kibbutz Tzora, continue on road 3835 to Deir Rafat Monastery.